March seems to have roared in like a lion, which hopefully will mean it will end like a lamb but we will wait to see if that old adage is true. Today we had another day full of blustery winds and squally showers, intermingled with sunshine, which at first seemed a good day for gardening but that blustery wind was very cold, cutting right through me. The result was about an hour of gardening but at least the cobwebs were blown away. 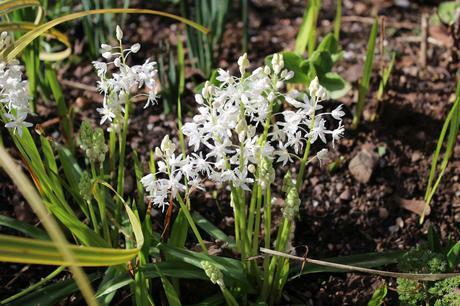 The garden is positively glowing now with dainty little spring flowers popping up here and there. 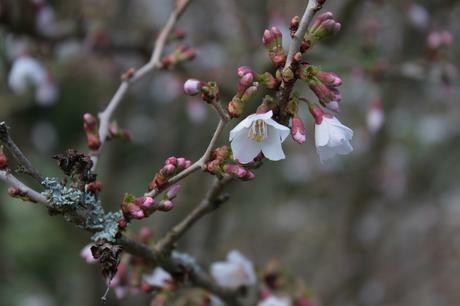 The Prunus kojo no mai is just coming into flower. I love this shrub, its about 6ft tall, has slightly crooked stems and the most delicate pale pink flowers which remind me of tissue paper. 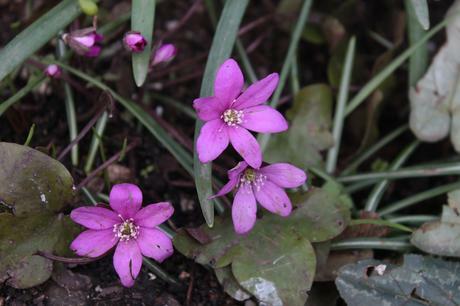 Another thrill was to find the Hepatica noblis flowering, especially as it is slowly but surely bulking up. I think this is a form of Hyacinth but I need to have a rummage around to find the label, I don’t remember this plant flowering so well in the past so it is really a bit of a mystery. It may well have been one of the pots of bulbs I used to have when I dabbled in growing alpines and I ended up planting out last year as I was fed up with all the pots. 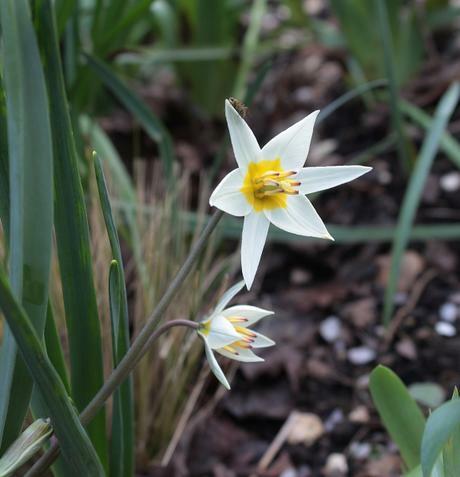 Tulipa turkestanica is another one of those bulbs that I used to grow in pots which seems to be doing better now that it is planted out in the border. 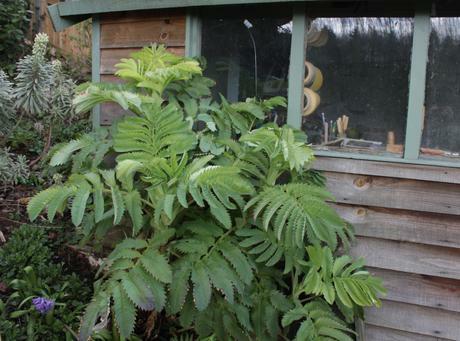 The Melianthus major is looking stunning this year. Last year it was hit by the ‘Beast from the East’ but this year the warmer weather and rain have led to a very abundant plant. I am wondering if it will flower this year, there is no sign of any flowers at the moment but I am optimistic. Even if it doesn’t flower the foliage is wonderful. 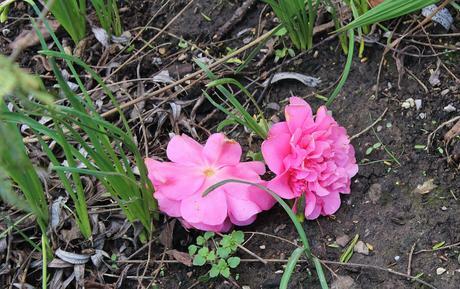 Sadly though some of the flowers have fallen victim to the wind. For more Six on Saturday visit The Propagator’s blog.